It is currently partly-let producing £19,000 per annum, which could rise to £25,000 when fully let. It has a *guide price of £125,000+. Similar levels of interest are expected for 58 Green Lane in Derby, which is a two storey property with retail on the ground floor and with planning permission for conversion to residential on the upper floor. The freehold property has a guide price of £55,000+. 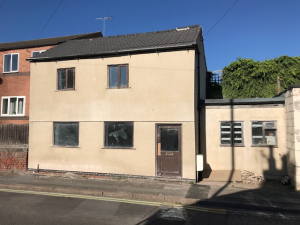 36 Moor Street in Spondon is a freehold investment opportunity in a two storey former retail premises which has the potential for residential use, subject to planning permission. It is a short, level walking distance from Spondon village and handily placed for the A52 and onward links. It has a guide price of £65,000+. 6 Osnabruck Square in Albert Street in Derby is a two storey modern retail unit let to the PDSA on a five year lease from March 2018 on an annual rental of £15,000 per annum. It has a retail unit on the ground floor with offices and storage space on the first floor. It stands in a good trading position and has a guide price of £132,000+. 32 Louden Street in Derby is a freehold investment opportunity to acquire a substantial mixed commercial/residential two storied extended property with accommodation arranged over three floors. The property, formerly used as a social club with a large three bedroomed flat above, may be suitable for a variety of uses, subject to planning permission. It has a mainly residential location and sits opposite the local arboretum. It has a guide price of £140,000+.